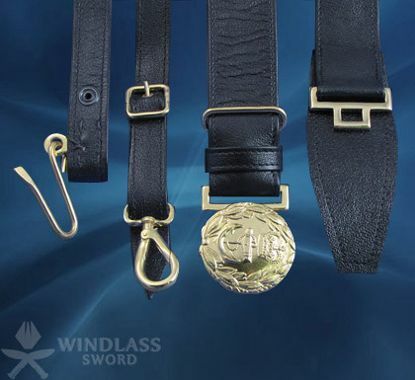 The Windlass range of sword handmade leather belts and frogs are manufactured from high quality materials in accordance with UK Ministry of Defence specifications. 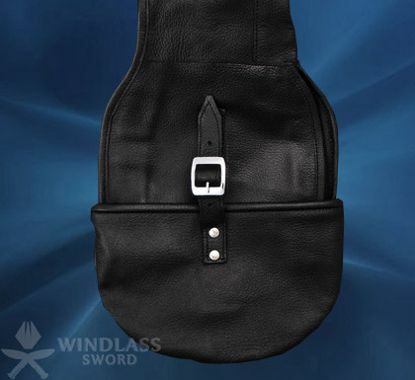 A sword carrying leather case is an essential means of protecting your sword when not in use. It is advised that one is purchased to prolong the life of the sword to ensure that quality is maintained. 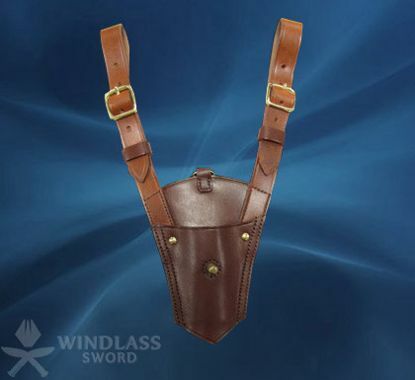 Handmade Leather belts and Sword cases are also useful when carrying your sword as they are specifically designed for the shape and weight. These are available for Royal Air Force Belts and Slings. The buckles are made of brass, plated in gold. The slings are made of quality leather featuring blue and gold braiding. Gold plated clips attached to them make these slings even more alluring. This sword case is made of pure leather. It can easily accommodate different swords of varying patterns and designs. 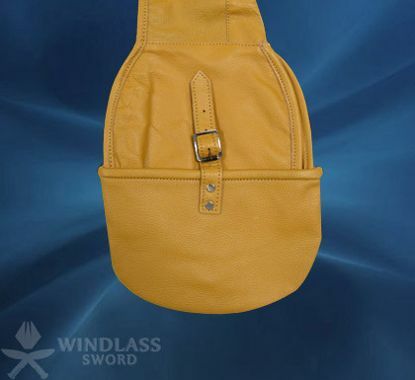 It is a sword bag available in black colour. The case is fitted with a buckle. Made in quality leather, this frog completes the sword set. 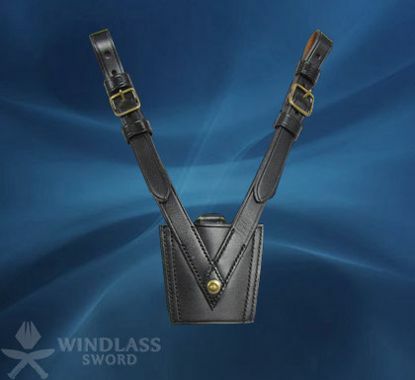 This case has been designed keeping in mind the exclusive goal of sword protection. It is made of soft leather. It is brown in colour and has a buckle attached to it for closure. It is a strong, well made bag for storage purposes. This is an ingeniously designed frog. It is hand crafted in leather. Available in tan brown colour, it has metal studs and buckles. It is designed in a pattern similar to the black frog for the 1912 Pattern Cavalry Officer's dress sword. This is a hand stitched frog designed in a canny manner. It matches the frog for the Sam Browne scabbard. It comes in black colour. It is studded with metal from the centre and has metallic buckles. It is made from quality leather. 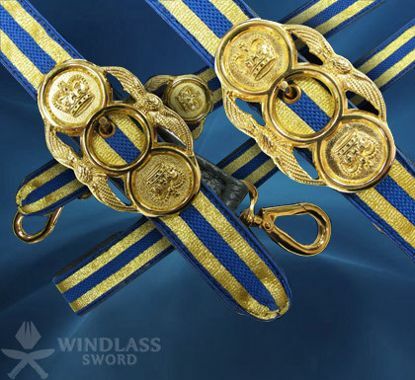 Royal Air Force Officers' belts and slings are an exceptional product of Windlass Swords. They are made of high quality leather with transcending blue and gold braiding. 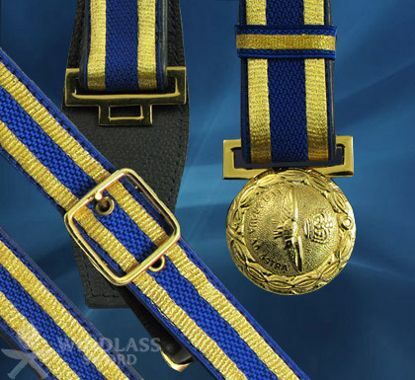 The belt features a gold plated brass buckle and clips. These are available in pure leather finish. The leather is highly durable and supple. The belts feature brass buckles and clips. These come in black colour. They very well suit the specifications and requirements of the officers.